Year-long is how the battle for home energy efficiency improvement takes, whether it’s cooling or heating. It should not be like this. You should be able to live in home comfortably without constant worry about whether your home is cooling or heating correctly. The comfort level of your home begins with the right thermostat and appropriate setting. Setting your thermostat correctly can improve the energy efficiency of your home. At this point, we will begin by evaluating the different types of thermostats currently available. We will look at how to select the appropriate thermostat for your unique home. The ac and heating control system is usually known as a thermostat. The thermostat regulates the amount of heat or cool air distributed in the home. There are several different types including manual, programmable, and smart thermostats. The type you choose must be functional for your home and compatible with your cooling and heating system. Manual thermostats are the simplest type of thermostat. The first thought that comes to mind are the round models of old attached to your wall. Manual thermostats are commonly found in older homes and a needle indicator is used for temperature indication. These thermostats are simple and easy to use but very limited as energy saving tools. Programmable thermostats are a step up on the sophistication scale from manual thermostats. Programmable thermostats allow for schedules to be set for every day of the week. Some models afford the owner the ability for weekend and weekday separation if so desired. Programmable thermostats are efficient energy savers by controlling heating and cooling costs via the adjustment of the temperature throughout the day. Smart thermostats are the modern form of thermostat and the most energy efficient. Smart thermostats are wi-fi enabled to access from your smartphone, tablet or computer. They can assist in increasing the energy efficiency of your home due to its ability to adjust to your lifestyle preferences. However, this description is nice but how do you know if the thermostat you want is compatible? Low voltage systems are the most common, which only require a 24v power supply. Best part, most thermostats will work with this system. Direct line or high voltage systems use a power source of 110v to 240v. They require special attention when deciding on a thermostat because they generally baseboards and other electric heating systems. Unfortunately, some older homes use direct line voltage to power the thermostat. The 24 millivolt systems are typically gas or oil powered furnaces that don’t use electricity. 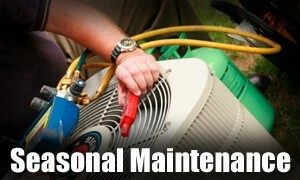 Its spring and it’s time to do the little maintenance items that will extend the life of your air conditioner. Industry standards suggest regular maintenance for your air conditioning system to prevent future problems and unwanted expenditures. There are a few things you can do yourself to keep your cooling and heating system at peak performance, such as replacing the air filter on a regular basis and not letting it clog the system. The most important thing is to have a highly qualified air conditioning contractor, such as Efficient Home Solutions, to perform annual pre-season check-ups. Typically, contractors become busy once summer and winter arrives, so it’s essential to check the cooling system in the spring and the heating system in the fall. One suggestion is to associate your air conditioning and heating checkups with the biannual time change. Spring Forward and Fall Back! What does the typical air conditioning system maintenance check-up involve? The checking of thermostat settings to verify the cooling and heating system maintains the desired setting for comfort when you are home and saves energy while you are away. Check and tighten all electrical connections. Measure voltage and current on motors. Faulty electrical connections can result in unsafe system operation resulting in the reduction of life of major components. The lubrication of all moving parts. Friction in motor and other moving parts increases the electricity use of the system. Thorough inspection of the condensate drain in your central air conditioner. A plugged drain can result in water damage in the house and negatively affect indoor humidity levels. Ensure proper and safe operation of system controls by evaluating the starting cycle of the equipment to assure the system starts, operates, and shuts off correctly. Evaporator and condenser air conditioning coils need to be cleaned regularly. Dirty coils have been found to reduce the ac system’s ability to cool the home and resulting in longer run times thus increasing energy costs and reduction of the system life. Verify refrigerant level and adjust if necessary. Improper refrigerant levels will make the system less efficiently. Adjust blower components and clean as necessary to provide proper system airflow for greater comfort levels. Surprisingly, airflow issues can reduce your system’s efficiency by up to 15 percent. As mentioned earlier, there are a few things you can do specifically to maintain your system between inspections. Inspect, clean, or change air filters once a month in your central air conditioner. This is usually simple and if you’re not sure how, your contractor can demonstrate. A dirty filter can increase energy costs and damage your equipment, leading to early failure. Contact Efficient Home Solutions today to schedule your biannual system maintenance checkups. (972)235-2600. Preventative Maintenance- Why it’s Worth the Money! 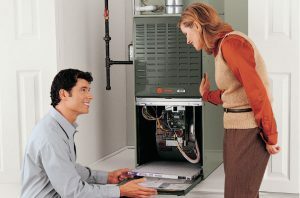 One of the most important systems in your home is the one that keeps you comfortable; your heating and cooling system. Did you know that much like your car, this system needs regular maintenance to keep running efficiently, prevent major breakdowns and save you money? Let’s talk about the number one reason for getting regular service done on your air handler, saving YOU money. Routine preventative maintenance can save you money by catching small problems before they become big problems. Much like cars, air handlers have many moving parts that need to be lubricated and belts that should be periodically changed out. Failure to perform regular maintenance on these parts can lead to expensive, emergency repairs when they fail. Periodic checks on critical components, including coolant, coils, and air distribution systems can catch issues with these critical pieces before they break. These parts are most likely to break when the unit is working it’s hardest; and you will be the most uncomfortable without your heating. Keeping your unit running well, as long as possible, is another money saver in itself. As the most expensive piece of machinery in your home; the better maintained the system is, the longer it will last. A well maintained system can easily last 10 years or more. Given the significant amount of money that you have put into purchasing, or are looking at spending to replace an existing system, it is in the best interest of your wallet to invest small amounts of money to keep the system running at top efficiency for as long as possible. A new system could cost as much as $10,000; for every year past 10 years that you can keep your existing system running, you will save $80-$100, which will often offset the cost of having regular maintenance performed on your system. A clean, well maintained air handler will use 20% less energy than an unmaintained, dirty system. Since the system is running more efficiently, more heat is delivered where it needs to be and the system will run for a shorter amount of time. That 20% could equal as much as $400 a year. In addition to the savings on your utility bills; it also reduces the wear and tear on components, lengthening the life of the system, and saving you money! As if saving money wasn’t reason enough to maintain your system; there are other reasons. On average, your home will exchange the inside air with outside air more than 5 times an hour, and most of that air will come into contact with your air handler as it enters your home. A dirty air handler can contaminate that air with dirt, mold and bacteria, which breeds in a dirty air handler. These contaminants are then spread throughout your home via the duct system. Indoor air quality is often considerably worse than outside air quality, and the toxins being thrown around the inside of your home via your duct system can account for up to 30% of those poisons. There are fewer things you can do to save money on utility bills and make your home healthier, more comfortable than having your air handler serviced before heading into the months of hard use. So, having seasonal maintenance performed on your air handler can save you as much as $500 a year AND significantly extend the life of your heating system. Having an air conditioning unit that works flawlessly is so convenient and comforting at the same time. There is no greater joy than walking into your cool home when it’s hot outside. This is a good reason why you might want to keep your air conditioner in top form, to keep you and your family comfortable. In addition to that, the importance of preventative maintenance for your air conditioners cannot be overlooked, as this will minimize the chances of a break down in the North Texas Summer heat. Another thing that cannot be underestimated, is the effect an AC system has on your utility bill when it needs to be maintained. A well-maintained heating and air conditioning system can save you hundreds of dollars each year on utility savings alone! Air conditioners need to be regularly maintained to keep running smoothly, for the same reason we change the oil in our cars every 3 thousand miles. You wouldn’t neglect that, now would you? We often forget our systems need maintenance, and just take for granted that it’s working when we need it, but your AC requires regular maintenance from a certified professional like Efficient Home Solutions to ensure it continues to work properly. There are so many systems out there that are poorly maintained, and many of those are ones we get calls about in the summer, when they’ve broken down! What Can You Do if Your Air Conditioner Isn’t Cooling Properly? If you get home late in the day and realize your home is a bit warmer than it should be, here’s a couple things you can do before calling Efficient Home Solutions. Check your air filter. Often a dirty filter could be the culprit. It’s best to check your filters every month, and change them as soon as there’s visibly dirt/dust accumulating. This simple monthly task can prolong the life if your HVAC system. Check to see if your unit is frozen up. If it is, there’s not much we can do until it thaws out. The best thing to do is turn your system to the “off” setting, and set your fan to “on”. Then give us a call. If you haven’t had your air conditioner checked out for the Summer, give us a call today to schedule an appointment 972-235-2600. We’d hate to have your system break down when you need it the most! Fall is here and winter will soon arrive. This means backyard barbecues, football, and best of all, saying goodbye to the scorching summer. As homeowners, we understand the importance of having our air conditioning systems operating at their peak levels. If you have ever gone through even a day of summer heat with a broken air conditioner, you understand that maintenance is a necessity. You can always spot a home with no AC because every door and window is open and fans are spread out to provide air flow. You might also see the owner on the phone desperately trying to get a technician over to fix the unit. After one or two of those experiences, concerned homeowners will contract a reputable company and set up an inspection plan to ensure that they stay cool during the summers, not thinking much about winter. Although mild compared to many parts of the world, North Texas winters can be cold with temperatures dropping below freezing. Most of us consider “winterizing” a foreign word which means stocking up on firewood for nights huddled around the fire pit. Those who are considered “prepared” make sure outdoor plumbing is insulated and that plants are covered. Many homeowners overlook the heating maintenance. Here are a few reasons why an inspection and maintenance of the heating system is just as important as the periodic check-ups of the air conditioner. Safety is the most important reason to do just about everything. While you may not imagine any major risks from a defective heater, there are some which could be life-threatening. Carbon monoxide, the odorless and tasteless gas that we’ve all heard about, can be generated from gas or oil burning heaters. Most people know it as a silent killer and all of us should take it seriously. Another risk is that an improperly running thermostat could result in overheating. Now being too hot is one effect and will certainly be uncomfortable, but it could also cause a fire which has even worse consequences. Just like an air conditioner, a properly running heater operates safely and as efficient as possible resulting in overall less cost and more money saved. Not only will the equipment operate efficiently since heat loss will be reduced, it will run smoothly reducing unnecessary wear-and-tear and extending the operational life of the unit. Replacing an HVAC unit can cost more than $10,000. The cost of replacing your system makes the price of regular inspection and maintenance seem like pennies. Finally, we’ll briefly discuss security. Keeping your heater operating at its peak level of efficiency is not going to provide the same security as your home monitoring service or the roving patrols by your neighborhood watch, rather than the feeling of knowing that you won’t be woken in the middle of the night looking for extra blankets and worrying that your loved ones are shivering and unable to keep warm. Regular check-ups and maintenance provides security in knowing that reliable warmth and comfort is provided for you and your family during the winter. Lucky for you, Efficient Home Solutions has appointments available for your Winter check-ups, so book now before it’s too late! Check out our current specials to save your hard earned money for booking early!